WASHINGTON -- The Canadian government's core negotiating objectives for the North American Free Trade Agreement include reducing red tape associated with cross-border transport, harmonizing regulations and adding strong provisions guaranteeing labour rights and environmental protection, Foreign Minister Chrystia Freeland said Monday in speech carried on Facebook Live. 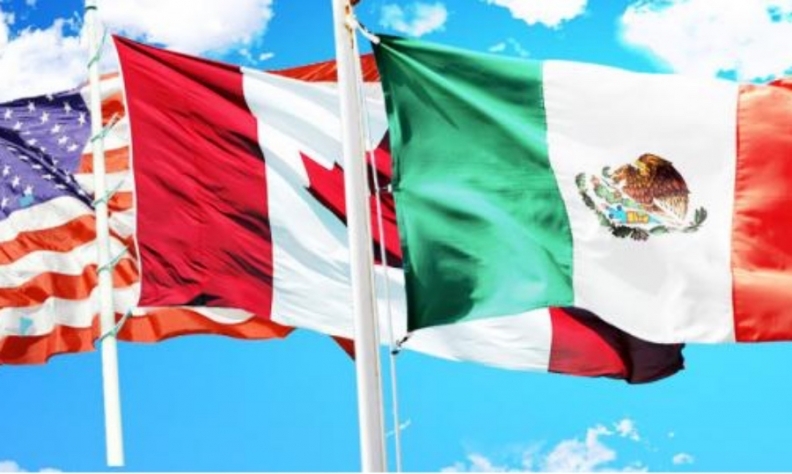 The first round of negotiations to rewrite the trade deal among Canada, Mexico and the United States begins Wednesday in Washington. The auto industry considers NAFTA a critical piece to the growth of production in North America, and executives will be closely watching the talks for changes that could undermine the efficiency of the supply networks developed since the mid-1990s. During last year's presidential campaign, President Donald Trump called NAFTA "the worst trade deal," saying it created incentives for companies to outsource production, resulting in millions of lost industrial jobs. Initial concerns that Trump would rip up the deal or seek to impose new tariffs and other trade barriers to improve the balance of trade, especially with Mexico, have waned as the administration appears to be pursuing more traditional negotiations aimed at updating terms to reflect new circumstances nearly a quarter century after NAFTA went into force. Freeland said Canada would pursue the addition of new chapters on gender rights and indigenous peoples; reforms to the dispute process for claims filed by foreign investors against government regulations; and more open government procurement rules to avoid favouritism toward domestic companies. "One reason that these progressive elements, particularly on the environment and labour, are so important is that they are how we guarantee that the modernized NAFTA will not only be an exemplary free-trade deal, it will also be a fair trade deal," Freeland said. "Canadians broadly support free trade. But their enthusiasm wavers when trade agreements put our workers at an unfair disadvantage because of the high standards that we rightly demand. Instead, we must pursue progressive trade agreements that are win-win, helping workers both at home and abroad to enjoy higher wages and better conditions." Canada also wants to make it easier for professionals to move across the borders for temporary business work and uphold the Chapter 19 rights for partners to request a trilateral review of anti-dumping and countervailing duties imposed by any party to make sure the duties are being fairly applied. The United States has indicated it wants to change the rules to allow more freedom to impose such duties without being challenged. The United States shares the goal of including labour and environmental protections in the main text of the agreement. In 1993, language on those topics was left as unenforceable side letters, which labor unions and other critics say have allowed Mexican industry to gain an advantage producing goods at lower cost. The half-dozen Canadian objectives are dwarfed by the dozens of goals set out last month by the U.S. trade representative. Bilateral trade between the United States and Canada, almost evenly balanced, topped $635 billion last year. Freeland said she was very confident that the NAFTA rewrite would have a positive outcome, albeit with some drama in between, for all stakeholders and the regional economy.